This time I will introduce about drone and “crash”. The drone flying in the sky has the potential to always cause serious accidents as well as convenience. The most important thing is “crash”. It is very important to have “troubleshooting” beforehand based on that premise. Here I will explain the five causes and phenomena that the drone will crash. There is a danger that the drones will crash due to “gusts”. The airframe tilts greatly by being suddenly blown by wind, making it difficult to control. Also, if the tilt angle of the drone exceeds the limit, the rotor will stop. From here about 1 minute 20 seconds, drone maneuvering does not work due to a sudden gust of wind, and pictures until the crash are paid. In the drone there is a “attitude control angle”, and if the drone body tilts more than a certain amount, you lose control. Therefore, there is a possibility that the drones will crash due to the strong wind. Also, a drone with a light weight is convenient to carry and carry, but it has drawbacks that it is easily hit by wind. 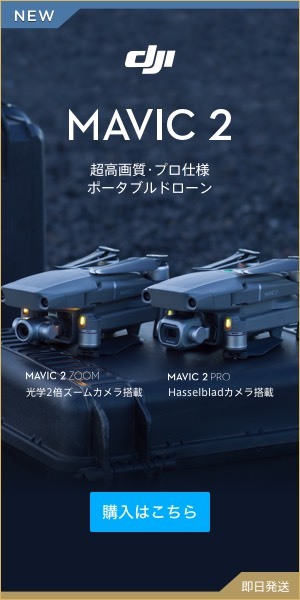 Phantom · Mavic PRO (Marvic Pro) · Inspire 2 (Inspire 2) etc Different prices There is a droning that performance does not differ so much, but the heavier drones of the aircraft were more stable against the wind You can fly. Drone is structurally weak against rising air current. As a result, it becomes unstable when you “descend”, especially when you “suddenly descend”, it tends to break the balance. As with gusts, the tilt angle exceeds the limit, making it difficult to control. Pay attention to the steepest descent | What is set ring with power? Settling with power is a dangerous condition that can occur during a flight of a helicopter, which occurs when the rotor is caught in a vortex ring system, causing the lift to be extremely reduced. In essence, helicopters fall into their own downwash. In this state, even if the power of the rotor is increased, only increasing the movement of the vortex (vortex) makes it impossible to increase lift. I think that it would be easier to see the actual video. In a word, describing setling with power means that it is likely to occur when a drone is dropping rapidly, once it wakes up, it is uncontrollable, the risk of falling is high, and it is wearing out a considerable altitude before recovering . Since it is up to 150 m if it is a drone, once you wake up it will almost crash. In my case, since I am using Phantom 4, I am trying to return it with the basic return to home function. It becomes uncontrollable by touching trees and buildings. Personal story, when I purchased Hobby Drones for the first time, I caught on a tree. Naturally after that I managed to climb the tree and managed to do it. As I mentioned earlier, hobby drones with a light weight are easy to fall into the wind, so they crash easily, and you also have easy access to obstacles such as trees, so you need to be careful. If the battery runs out during the process, it will naturally become uncontrollable. Check the batteries of both the drone body and the propo and keep in mind the flight with plenty of time! By the way, in the case of phantom 4, there is a return-to-home function that automatically returns when the battery level becomes 30%. Even though you think you can afford it, it is wiser to be careful as it will tend to phenomenon more rapidly as the battery level becomes lower. Moreover, the unexpected blind spot is the pattern that the charge of the propo turns off. I myself charged the battery of the drone body, but I have not been able to flight because I forgot to charge the propo. Since Drone manipulates from radio waves by the propo, if the link breaks out, it will be impossible to control. It is called common name no-con. Radio waves are electromagnetic waves. Electromagnetic waves have two properties of “electricity” and “magnetism”, and “waves” are transmitted into the air. Radio waves are represented by the numerical value “frequency” and are expressed in units of HZ (Hertz). Since the frequency for communication is limited in that space, one frequency must be used in the same space. When applied to drone, the frequency that can be used for maneuvering is also limited, and if you skip multiple drones without worrying about frequency etc., radio waves can mix, which can cause a situation called “crosstalk”. As a result, there is a risk of falling into a state of uncontrollability. There is a possibility that the radio waves may be disturbed as well when flying a drone in the vicinity of iron and metal buildings such as steel towers and bridges. Human error is mostly the cause of the Drone crash! I mentioned a few of the causes of the drone ‘s crash, but most of them are caused by the above. I do not want to think that the drone I’m piloting is “crashing”, but as I manipulate the drone it is accompanied by various risks. I definitely want to do a flight simulation and I want to imagine it to be able to deal with any situations calmly.